We offer at least 10% off any service for seniors and military personnel. Stop by today to get the best iPhone repair experience! Your Local iPhone Repair Experts in Portland, OR! Have you tried taking a broken iPhone to the Apple Store to their genius bar? If you have, you know their genius bar isn't...well, too genius. Between not being able to get an appointment to get your iphone repair Portland for weeks, and Apple's restrictive iPhone repair Portland policy, the "genius bar" can quickly start to look very unsupportive. Not so at CompRite iPhone Repair Portland Experts. We'll get you in right away, diagnose your iPhone problem, and can usually get it fixed same day! Come see what makes CompRite the most trusted iPhone repair Portland shop or check out our list of services below. Screens break. We fix them. The fastest iPhone LCD repair in Portland! 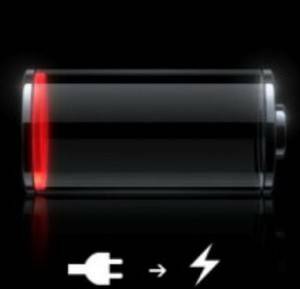 Bringing dead iPhone batteries back to life is our specialty! We help repair iPhones one speaker at a time! Powerful repair for iPhone power buttons! 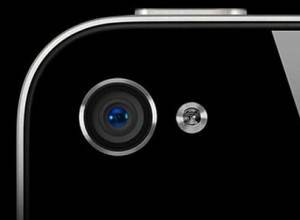 iPhone camera replacement in a flash! It's not magic, but an iPhone software reset sometimes does the trick! We use top quality parts for your Apple iPhone repair. Most iPhone glass repairs are done same day, depending on model. You don't need an appointment, just come in whenever we're open. We now repair iPads! Take a look at our iPad repair page. Jailbreaking and Unlocking your iPhone: we do it all. CompRite is your local Apple iPhone repair and sales experts for all your iPhone needs in Portland. CompRite's main focus is repairing the iPhone you have for an affordable price! We buy, sell, trade, and repair used iPhones. Need some cash? Bring in your Apple iPhone tablet and we will buy it! Want to purchase an Apple iPhone without a contract? We got it! Visit your local Portland iPhone Repair store location near you! CompRite unlocks, jailbreaks and flashes all models of Apple iPhones! CompRite's repair technicians can jailbreak your Apple iPhone for all those free apps and unlock your Apple iPhone to other carriers such as T-Mobile or Sprint! We commonly repair broken screens, digitizers, home buttons, audio jacks, and charging ports on Apple iPhones! Easy free parking below building. CompRite Computers will handle all of your Apple product repair needs in Portland or Vancouver. We commonly replace/repair Apple iPhone: broken LCD (screens), digitizers, batteries, charging cables, bad motherboards, broken / loose AC /DC Jack (power connectors) and more. We also handle Portland iPhone jailbreaking, updates and anything else that is Apple iPhone related. Copyright © 2013 CompRite ®, Inc. All Rights Reserved.